In this guide, we examine the benefits of TPO tools and identify the key factors to consider and questions to ask in order to choose the right solution for your organization’s needs. The consumer packaged goods (CPG) industry is changing at a rapid pace. Consumers are making choices faster and are armed with more information. This means that CPG marketing and sales teams need to keep pace, and it’s impossible to do so without a technology tool that provides real-time, actionable insights and intelligence. Trade Promotion Optimization (TPO) software platforms can be effective tools for improving team efficiency and return on investment. These platforms can automate the time-consuming, manual tasks associated with TPO/TPM (trade promotion management), while improving productivity, campaign performance and collaboration. 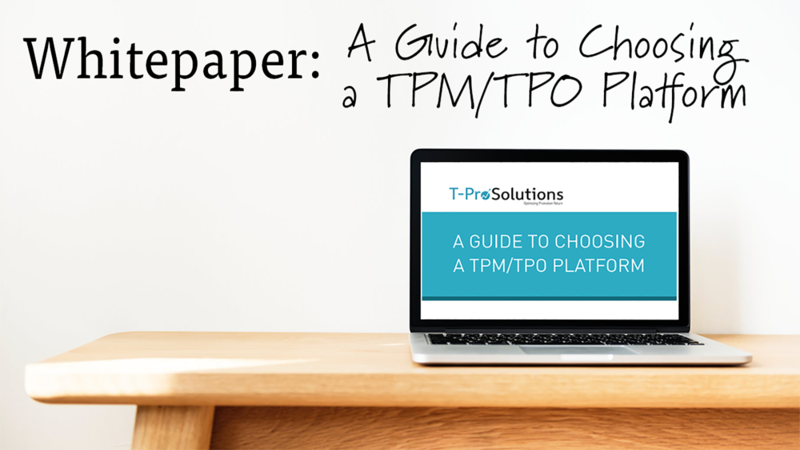 Download "A Guide to Choosing a TPM/TPO Platform"